CLASS D MONOBLOCK AMPLIFIER. 1-ohm Stable Monoblock Operation for MAX Power. POWER ACOUSTIK EG1-7000D. 1800 Phase Shift Improves Low Octave Dynamics. Link 2 Monoblocks Together for Double Power! High/Speaker Level & Low Level/RCA Input. That’s where we have taken our new ZTX v2 amplifier line. And the rest – The sound and power classes that match perfectly with all our speaker systems and subwoofers. RE AUDIO : ZTX 3000.1 v2(Mono/Class-D) - Class D, Monoblock, Bass Amplifier. Rockford Fosgate R500X1D. Rockford Fosgate 500W Mono Car Audio Amplifier with Remote. Mono Subwoofer Amplifier. Class-D amplifier design. Phase switch. 300 Watts RMS x 1 at 4 ohms (500 watts RMS x 1 at 2 ohms). Planet Audio PL4000.1D. 4000W Max Pulse Series Class-D 1-Ohm Stable Monoblock Power Amplifier. Class-D 1-Ohm Stable Monoblock Amplifier. Amplifier Install Kit. 1 ohm: 2000 watts x 1 chan. 3-way protection circuitry (thermal, overload, and speaker short protection). Hifonics Brutus BRX2016.1D. 2000 Watt Monoblock Brutus Series Class D 1-Ohm Stable Subwoofer Amplifier - (Brutus 2000 Watt). Brutus Series Monoblock Class D Car Amplifier. Amplifier Series Brutus (Hifonics). Hifonics Brutus BRX2000.1D (FREE Upgrade to BRX2016.1D). The XS Power XP750-CK is designed for the enthusiast that needs a proper power reserve, that cannot be had with a capacitor. It is intended for 1000-1500 Watt Audio Systems. Planet Audio Anarchy AC3000.1D 3000 Watt Class D Mono Car Amplifier 1 Ohm Stable With Remote. Planet Audio Anarchy AC3000.1D 3000 Watt Class D Mono Amplifier 1 Ohm Stable Remote. Item Code: AC3000.1D. Hifonics BXX1200.4 Brutus 1200W RMS 4 Channel A/B Speaker Car Audio Amplifier. BXX1200.4: Brutus 1200W RMS 4 Channel A/B Speaker Car Audio Amplifier. 3-way protection circuitry (thermal, overload, and speaker short protection). Damping Factor. 750 Watts x 1 @ 1-Ohm. 750 Watts RMS. Average Current Draw. (PVC/PowerCube®). (Sum of Rated Power). Total Power. Number of Channels. Planet Audio TR5000.1D. Planet Audio Torque Series TR5000.1D. 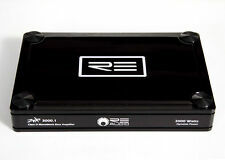 5000 Watts Max Power 1-Channel / Monoblock Class D 1-Ohm Stable Stereo Car Audio Amplifier. Class-D 1 ohm Stable Monoblock Amplifier. Amplifier Install Kit. JX1000/1D JL AUDIO AMP SUB SUBWOOFERS SPEAKERS BASS AMPLIFIER 1000/1. 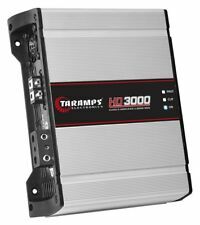 With up to 500 watts. 1x Complete 1000W Red 4 Gauge Car Amplifier Installation Wiring Kit. Premium 3 Feet FT 4 Gauge GA Ground Cable / Inline AGU Fuse Holder & 80A Fuse Included! mono subwoofer amplifier. 12dB/24dB Slide Switch to choose LP Slope. Soft turn-on circuit. Remote turn-on/turn-off circuit. Located in Los Angeles, CA. Car Audio & Video. 50-250Hz, 24dB/octave Variable Low Pass Filter. Designed to run with a minimum load of 1 ohm. Rockford Fosgate R12001D Watt Class-D Monoblock Car Audio Amplifier | R1200-1D. Rockford Fosgate R12001D. We are an Authorized ROCKFORD FOSGATE Dealer! 500W RMS X 1 (2Ω, 14.4V, ≤1% THD N). 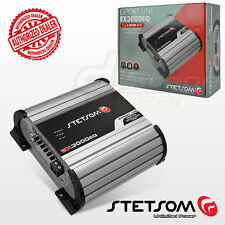 300W RMS X 1 (4Ω, 14.4V, ≤1% THD N). Trending at $466.39eBay determines this price through a machine learned model of the product's sale prices within the last 90 days. Wolfram W-1500.1 Mono Amplifier. Like new only installed for about a week. RMS Power @ 1 Ohm : 1,600 Watts x 1 Channels (14.4v). RMS Power @ 2 Ohms : 900 Watts x 1 Channels (14.4v). RMS Power @ 4 Ohms : 530 Watts x 1 Channels (14.4v). The R-Series Amplifiers have a diagnostic LED located behind the blue Alpine Jewell on the top of the amplifier. Amplifier circuit is abnormal. Temperature is too high. Alpine R-A75M R-Series Mono Digital Amplifier - 750 Watts x 1 at 2-Ohms, 500 Watts x 1 at 4-Ohms. A classic Hifonics aluminum heatsink with a Zeus 2400 Watt, 1 ohm stable, Class D mono subwoofer car audio amplifier. Features include onboard electronic crossover and boost EQ. Bass remote included. Audiopipe APMN-1500 Monoblock Mini Amplifier with Fuse and Bass Knob. This Audiopipe APMN-1500 is a 1500-watt amplifier built on a mini chassis to provide serious power in a tight space. For the size, quality, and power this amp is hard to beat! 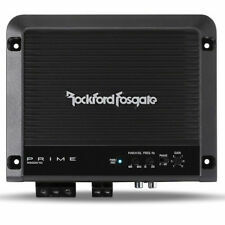 Car Audio APMCR Series Class-D 1-channel Amplifier. Current draw: 69A. Signal to noise ratio: 80dB. Technical Details.